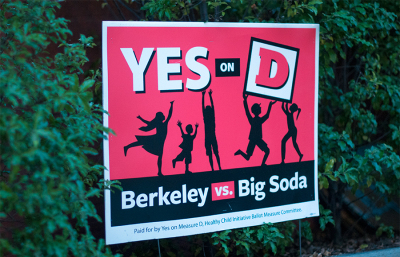 Unlike this year’s controversial “soda tax” measure, one city ballot measure has flown under the radar. 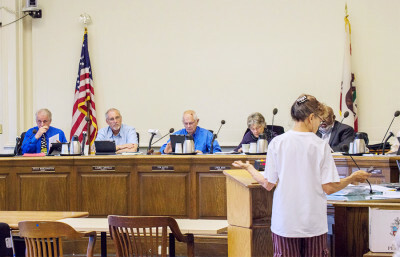 Measure P expresses dissatisfaction with corporate personhood and campaign-finance laws in the United States in the hope of passing a Constitutional amendment to abolish corporate personhood. The driving force behind the measure’s inclusion on the city ballot was CalPIRG’s “Reclaim Democracy” campaign. CalPIRG is a group that works to protect consumer and voter rights and has a chapter at UC Berkeley. The measure was voted onto the ballot in June with revised language after being introduced earlier that month. The Supreme Court’s controversial ruling on Citizens United in 2010 opened the door for corporations to make individual expenditures on political campaigns. Backers of the measure hope its passage will build momentum for the eventual passage of a Constitutional amendment reforming campaign-finance laws. He also raised the question of whether other entities, such as nonprofit corporations and unions, would be allowed to participate in the political process under the measure’s language. An effective amendment, Cole said, should outline a “substantive program” describing how campaigns should be financed and political expenditures regulated. The California State Legislature originally included a similar ballot measure, but in August, the California Supreme Court removed the measure from the ballot. Backers of the measure hope the passage of Measure P will eventually lead to the question reappearing on California’s state ballot and eventually on a national scale. Joey Ward, UC Berkeley sophomore and campaign coordinator for CalPIRG’s “Reclaiming Democracy” campaign last year, is optimistic about Measure P’s success. Contact Philip Cerles at [email protected] and follow him on Twitter @PhilipCerles_DC.